Calico Diary was very happy to have the Rios family at the farm yesterday. It was a fun day of learning for the kids, they were shown the entire milk process from the cows coming in the barn to the milk going in gallon jugs, to the shelf for customers to buy. They had a great time learning how to bottle feed baby cows and did a great job giving hay and feed to the goats. 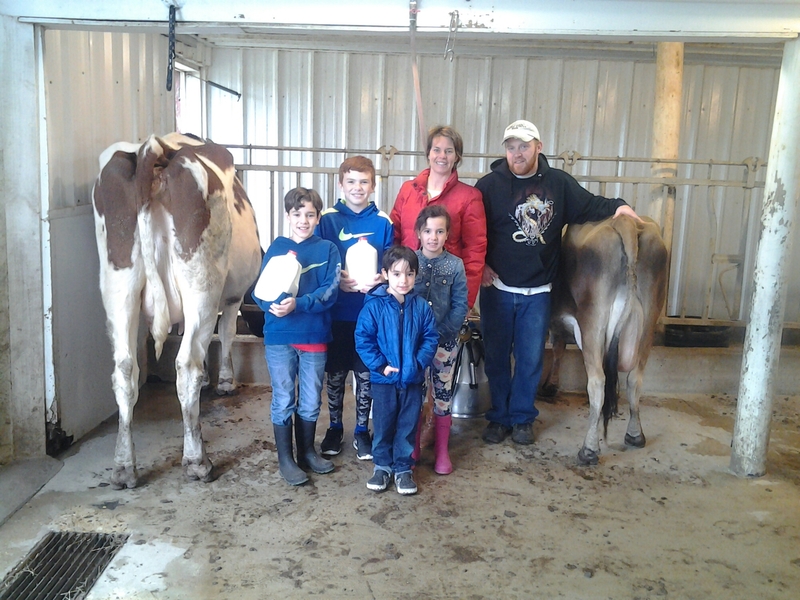 We would like to thank the Rios family for spending a few hours with us and choosing our farm for their kids to learn a little about raw milk diary farming.